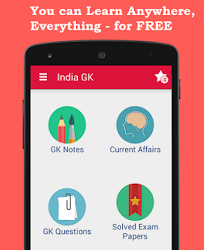 7, 8 April 2017 Current Affairs MCQs, Quiz, Questions: Current Affairs for April 2017, Daily Multiple Choice Questions (MCQs) for India GK, World GK and current affairs with Collection of daily objective type Question by www.Indiagk.net based on General Knowledge (GK) and General Science (GS) Questions for UPSC, State PSC, SSC, Police exam, Railway exam, SBI, Bank PO, IBPC, SSC, LDC, UDC, Army, Airforce, Navy, Coast Guard, Bank Clerk, TET and all entrance examination with current affairs News, Multiple Choice Questions (MCQs) available on Website www.IndiaGK.net and Android Apps with daily updates:. Which state led in skilling urban poor in last 3 years ? President on 7th April inaugurates first NIMCARE World Health Day Summit 2017 in which City? Prime Minister of which state arrives on 4-day visit to India on 7th April 2017? Which Movie wins Best Feature Film in 64th National Film Awards?